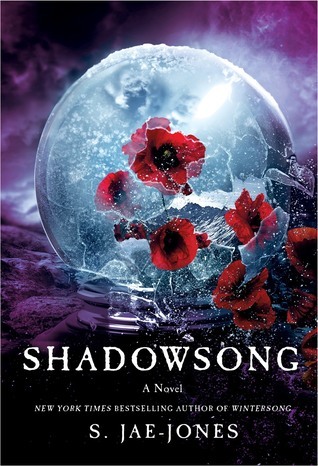 Shadowsong starts six months after Liesl walks out of the Underground, her marriage with the Goblin King and the title of the Goblin Queen. In doing so, she disturbs the delicate balance that keeps her world secure, safe and immune to the “unholy spirits” of the world below her – As the old Laws of the Underground demands that a sacrifice be made – a sacrifice in the form of a bride for their King – to ensure that life breathes into the world Liesl lives in. To ensure that Winter gives way to Spring. This book is all about the slow consequences of Liesl choosing to walk out. And also about what she decides to do with her new-found knowledge of Josef being a changeling – whose life is a consequence of Liesl’s prayers when he had fallen ill as a baby. Liesl’s brother isnt meant for the world above and the only thing keeping him tethered and stopping him from joining the other changelings in the Underground is his sister’s wish and his partner’s – Francois’s – love for him. The world-building continues in this book; the world – in terms of myths and tales – expands – and phenomenon such as “elf-touched” and “elf-struck” are spoken about a lot more than the previous book. But, the issue I had with the book is this – though we got more of the “background” wrt. the origin of the Goblin Kings, the sacrifices required by the queens and so on… I never felt like I understood it any better.. This book introduced two new factions who have connected with the Underworld in the past within some capacity (like Liesl) which felt so unnecessary. I mean, I think atleast one could have been totally done away with… It just felt like the author introduced too many concepts.. but couldnt connect them too well..
Josef is aloof with everyone and angry with Liesl. His sense of betrayal and Liesl’s hurt feelings are well-depicted and probably the best part of the book. I was also glad to see more of Kathe and Francois, and gosh, I will say it again .. Kathe deserves a better story. And Francois deserved atleast one opportunity to vent on-page about how distant Josef was. I mean, Liesl got almost two books to dwell, moan and whine. Honestly, I quite enjoyed the first half of the book, where it focused on Liesl, Josef, Kathe and Francois. It was only in the second part where Liesl again slipped into pining for the Goblin King and pretty much indulged in constant self-flagellation for her past choices that I was reminded about how much Liesl bored me in Wintersong. A different concept, with some great ideas. But they just didn’t fit too well. Too many contradictions and vague explanations about how the Laws and sacrifices are supposed to work. If you enjoyed the first book, then I think you would really like this a lot more than I did. I found it to be a much better book than Wintersong though. Previous Article Wintersong – A semi-spoilery rant.